Another poor season for MI. Can they find the momentum they are looking for? Mumbai Indians are all set to take on Chennai Super Kings on Wednesday, April 03, 2019 at Wankhede Stadium, Mumbai. If you are looking for the above information then you are in the right place. We have covered all the above information in this post. 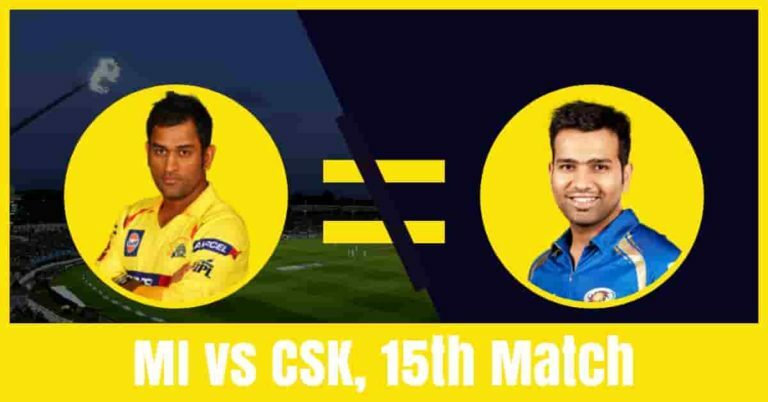 Along with all the above details we have also covered the best choice for captain and vice-captain, dream11 free grand league team csk vs mi latest news and Mumbai Indians vs Chennai Super Kings full squad. Winning and losing is a part of any game but if you want to increase your chance of winning to 100% then make sure to read the complete post. All the details in this post are very accurate and taken from very reliable sources. Read it carefully and win any grand league or small league. Our concept is very simple we predict, the players perform and you win. 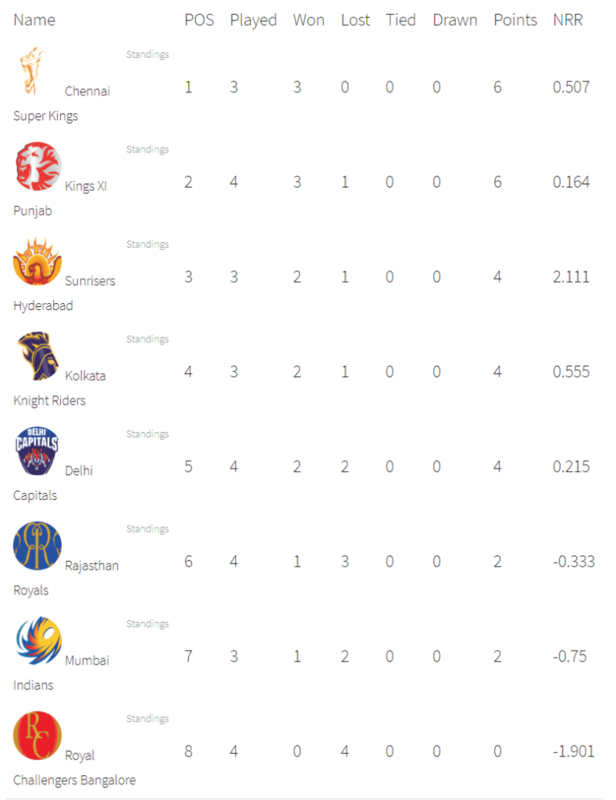 Mumbai Indians have played matches, won one and lost 2 matches. They are in the seventh position of the points table with two points in their pocket. They have lost their first match against DC by 37 runs, won their second match against RCB by six runs and lost their third match against KXIP by eight wickets. Quinton de Kock, Rohit Sharma and Yuvraj Singh are the top-scorers of Mumbai. they have scored 110, 94 and 94 runs in their last three matches. Jasprit Bumrah, Mitchell McClenaghan and Krunal Pandya are the top wicket-takers. They have taken 4, 3 and 2 wickets. On the other hand, Chennai Super Kings have started their 12th season of IPL by winning their all three matches. They are in the top position of the points table with six points in their wallet. They have won their 1st match against RCB by 7 wickets, 2nd match DC by 6 wickets and 3rd match against RR by 8 runs. The above result was only possible because they managed to find a new hero in every match. MS Dhoni, Suresh Raina, Shane Watson and Kedar Jadhav are the top scorers of Chennai. They have scored 107, 85, 57 and 48 runs. Dwayne Bravo, Imran Tahir and Deepak Chahar are the top wicket-takers. They have taken 6, 3 and 3 wickets. Rohit Sharma, Quinton de Kock, Suryakumar Yadav, Hardik Pandya, Krunal Pandya, Jasprit Bumrah and Jason Behrendorff are the key players of Mumbai Indians Team. Jason Behrendorff has joined the Mumbai squad and may replace Lasith Malinga or Mitchell McClenaghan in the playing 11. Ishan Kishan may replace Yuvraj Singh and Evin Lewis may replace Kieron Pollard. Jasprit Bumrah, Jason Behrendorff and Mayank Markande will lead the bowling attack. Rohit Sharma and Quinton de Kock are the most valuable players of MI team. Batsmen: Rohit Sharma, Suryakumar Yadav, Yuvraj Singh/Ishan Kishan, Kieron Pollard/Evin Lewis/Ben Cutting. Bowlers: Mayank Markande, Jasprit Bumrah, Mitchell McClenaghan/Jason Behrendorff, Lasith Malinga/Jason Behrendorff. Rohit Sharma (c), Jason Behrendorff, Quinton de Kock (wk), Pankaj Jaiswal, Suryakumar Yadav, Ishan Kishan, Lasith Malinga, Yuvraj Singh, Siddhesh Lad, Kieron Pollard, Evin Lewis, Hardik Pandya, Mayank Markande, Krunal Pandya, Rasikh Salam, Mitchell McClenaghan, Aditya Tare, Jasprit Bumrah, Ben Cutting, Anmolpreet Singh, Barinder Sran, Anukul Roy, Jayant Yadav, Rahul Chahar, Alzarri Joseph. Ambati Rayudu, Suresh Raina, Shane Watson, Kedar Jadhav, MS Dhoni, Dwayne Bravo and Imran Tahir are the key players of Chennai Super Kings Team. Harbhajan Singh may replace Mitchell Santner in the playing XI. Ambati Rayudu, Suresh Raina and Shane Watson will lead the batting department. Ravindra Jadeja and Ravindra Jadeja will play as a key all-rounder. Deepak Chahar, Shardul Thakur and Imran Tahir will lead the bowling department. Shane Watson and Suresh Raina are the most valuable players of CSK team. Batsmen: Ambati Rayudu, Shane Watson, Kedar Jadhav, Suresh Raina. All-Rounders: Ravindra Jadeja, Dwayne Bravo. Bowlers: Shardul Thakur, Deepak Chahar, Imran Tahir, Harbhajan Singh. MS Dhoni (c & wk), Shardul Thakur, KM Asif, Ambati Rayudu, Ruturaj Gaikwad, Shane Watson, Faf du Plessis, Suresh Raina, Sam Billings, Kedar Jadhav, N Jagadeesan, Monu Kumar, Dwayne Bravo, Chaitanya Bishnoi, Ravindra Jadeja, Imran Tahir, Mitchell Santner, Harbhajan Singh, Deepak Chahar, Scott Kuggeleijn, Murali Vijay, Karn Sharma, Dhruv Shorey, Mohit Sharma. The pitch of Wankhede Stadium, Mumbai is a batting friendly wicket. However, the bowlers will get some initial swing and movement. the wicket will have a good bounce and the batsmen can take advantage of the bounce. Dream11 Fantasy Cricket Tips: Try to take middle-order batsmen and seam bowlers in your teams. A hot and humid day is predicted. The weather of Mumbai will be mostly sunny and it will remain the same throughout the day. The sky will be clear and there is no sign of rain. The temperature is expected to be 29-Degree Celsius and the humidity to be 74%. According to Crix11 astrology Cricket match prediction, Chennai Super Kings will win the match today. The team winning the toss should opt to bowl first and as per crix11 astrology department, CSK will win the toss and opt bowl first. This is it for Today’s MI vs CSK Dream11 Fantasy Cricket Prediction 15th Match. What is your best team? What do you think Who Will Win Today? Leave a reply in the comment section.